Has been sitting for a couple years, engine ran about 6 months ago. 265k total miles on jeep. Last time I checked compression it had ~140psi in each cylinder. Ran fine, had some cold lifter tick. Always had wix or mopar filters and diesel oil while I owned it. Will work in 87-90 Cherokee as is. Other years with head/accessory swap. Will work in 87-96 jeeps with 87-90 tcase. Had a big cooler and external spin on filter. Fluid changed yearly. Transfer case has small output shaft leak. Worked fine, no abnormal noises. Will work with 87-90 transmissions. Want to sell complete drivetrain for 500 obo. 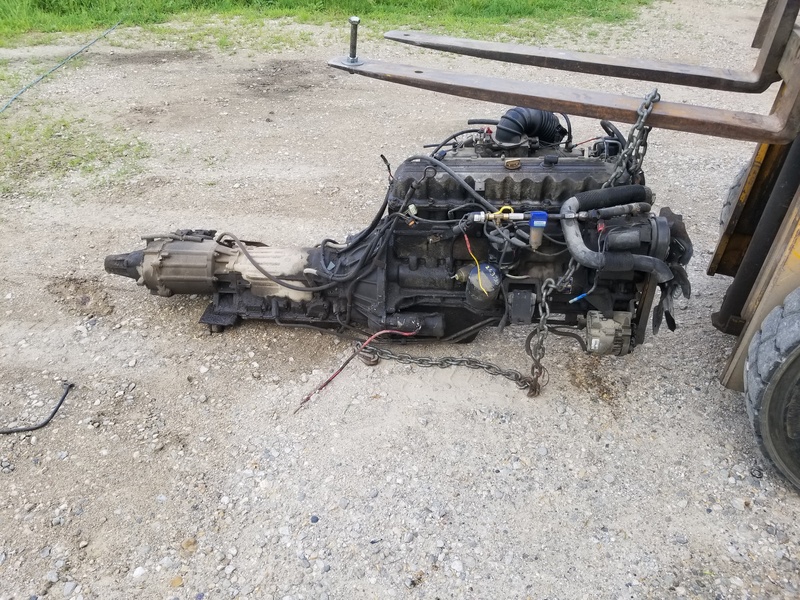 Complete TJ drivetrain swap into a Cherokee? WTT: Complete RE 3.5" Superflex for complete OME 2-2.5"
i got a whole drivetrain! i need it gone!